There's a reason why it's considered the greatest film ever made. And while I still consider The Passion of Joan of Arc to be cinema's supreme work, watching Citizen Kane today it feels just as fresh and vibrant as ever. Greg Toland's cinematography is made even more impressive through the HD transfer, and the sumptuous packaging befits a movie of its stature, featuring a hardback book and a folder of memorabilia that is a must for any cinephile. 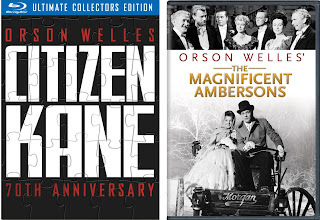 But perhaps the most notable aspect of this exhaustive package is the inlcusion of Orson Welles' long unavailable The Magnificent Ambersons on DVD for the first time as an Amazon exclusive. Even in its studio truncated form, Ambersons remains a masterpiece. It proved that Welles' success with Kane wasn't just a fluke, and because of its long unavailability is perhaps Welles' most overlooked masterwork. Widely available now for the first time alongside Kane, it can now be appreciated for what it is, the greatest one-two punch in cinema history. 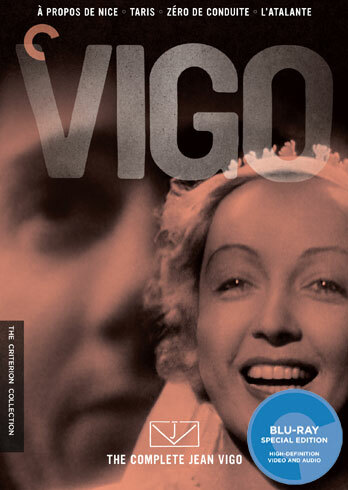 Speaking of overlooked greatness, Jean Vigo is one of cinema's most influential filmmakers (with fans that include Bernado Bertolucci, Francois Truffaut, Eric Rohmer, Lindsay Anderson,), even after directing only one feature film and 3 shorts before his untimely death. Presented here on blu-ray for the first time by the Criterion Collection, Vigo's four films shine like never before. L'Atalante may be his most famous work, an intoxicating tale of a couple's honeymoon on a river barge, but the real jewel is Zero de conduite, a lively and deeply personal tale of childhood and adolescent rebellion in an all boys school. Criterion's presentation is stellar, paying loving tribute to one of cinema's great unsung heroes. Watching his entire filmography is a rare treat - the ability to watch the growth and development of an artist, as they seem to span an entire career even though it was cut so tragically short. One could only imagine what wonders Vigo could have conjured after L'Atalante, but one thing is certain - what the man left us during his brief career is nearly unparalleled in the history of the medium. One of the great art-house treasures of the 1990s, Krysztof Kieslowski's Three Colors Trilogy, consisting of Blue (1993), White (1993), and Red (1994), marks one of that decade's most impressive cinematic achievements. Representing the three colors of the French flag, each film explores the ideals of liberty (blue), equality (white), and fraternity (red). Criterion's presentation is nothing short of stunning, not only of the films themselves but of the exhaustive extras, representing perhaps their finest of the year. From video essays to scene breakdowns with Kieslowski himself, this 3 disc set (or 4 if you have the DVD edition) is as comprehensive a presentation of these films as one could ever hope for. Perhaps the greatest artistic achievement to emerge from the reunification of Europe after the fall of the Soviet Union, Three Colors wasn't just a defining moment in Kieslowski's career (although Red would ultimately be his last film), it was a defining moment in world cinema. 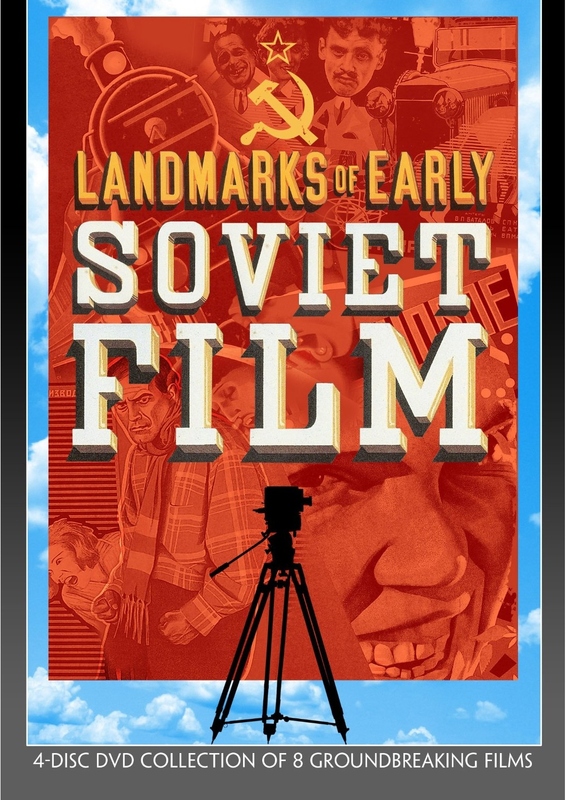 This is a must-have set for any serious film lover's collection. Kino has been busily releasing Buster Keaton's films on blu-ray over the last couple of years, and have done a uniformly excellent job. 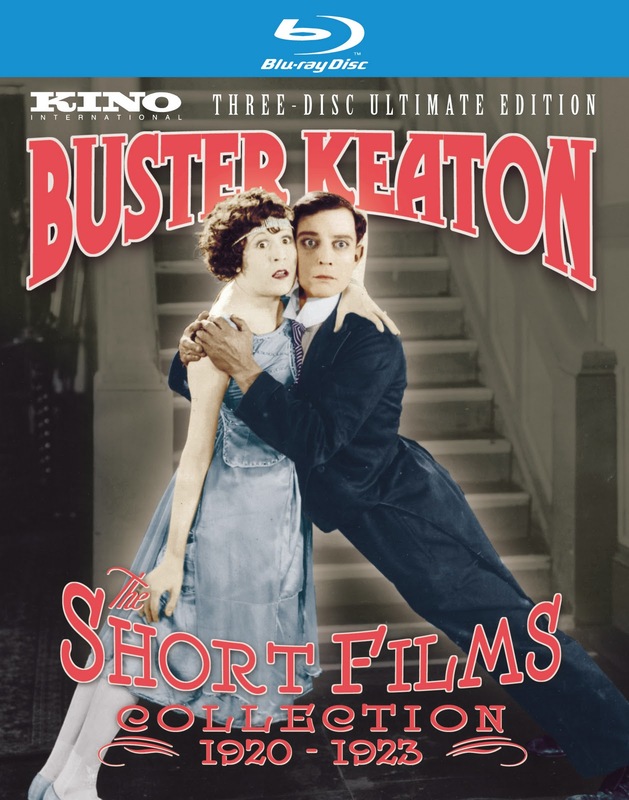 One set, however, stood out above the rest - and that's this set of Keaton's 19 short films he made before making his first feature film. From the first, 1920's The High Sign, to the last, 1923's The Love Nest, we watch as Keaton's craft grows and matures as he established his own voice apart from mentor Fatty Arbuckle, eventually outgrowing the short format in some of his overstuffed later shorts. It's fun spotting the early versions of gags that would later blossom in his more famous features, and there are a few shorts here that rival even his best works, most notably One Week and The Play House, which represent some of the great comedian's finest work. Kino's presentation is nearly flawless, with some of the films receiving absolutely pristine transfers. It's the feather in the cap of a very strong year for the distributor, even as they mourned the death of one of their founders. 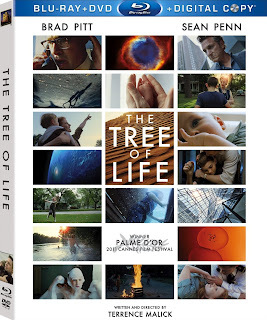 Terrence Malick's magnum opus The Tree of Life was not only the best film of the year, but one of its finest blu-rays as well. 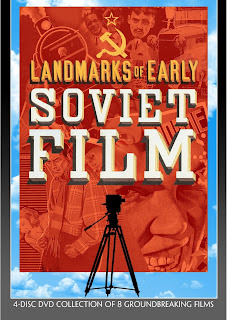 And not because of the special features, which are disappointingly sparse (it only includes one brief documentary). 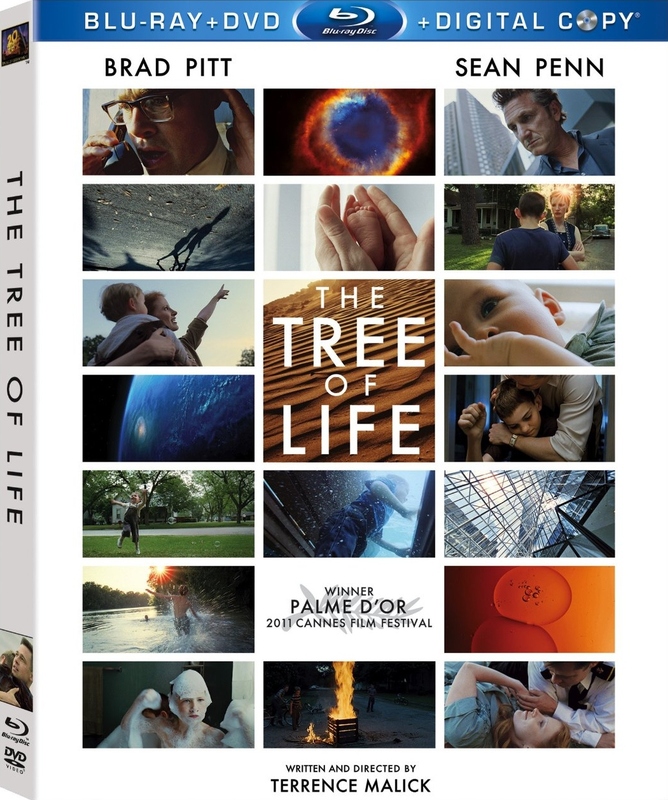 No, The Tree of Life is on this list because it is arguably the most beautiful blu-ray that has yet been produced. It's true that the film itself is gorgeous, but in HD it's breathtaking. 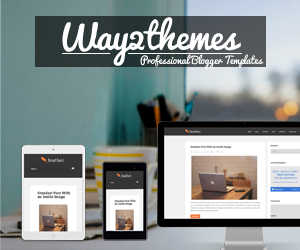 Every image, every nuance seems heightened to perfection. It's just as immersive on the small screen as it was on a giant one, and that's saying quite a bit. Cinema Guild may have held some of its strongest 2011 theatrical acquisitions until 2012, but their home video wing was on fire last year. The jewel of their releases was their second blu-ray disc, Manoel de Oliveira's 2010 film, The Strange Case of Angelica. Not only is it a beautiful transfer, but Cinema Guild delivered a kind of coup de grace by offering a brand new high-def transfer of de Olivera's first film, the 1931 silent, Douro, Faina Fluvial, a lively day in the life of a port town reminiscent of the work of Jean Vigo. Cinema Guild doesn't often release their titles on blu-ray, but when they do, they do it right. 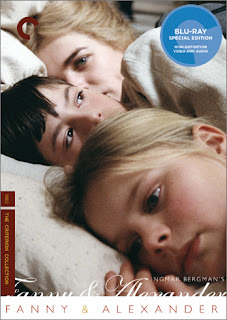 Ingmar Bergman's seminal masterwork had already been released by Criterion on DVD years ago with the same special features, but this blu-ray clean up is simply stunning. The five and a half hour television cut remains the definitive version of this sprawling family epic about the life of the aristocratic Ekdahl family as seen through the eyes of two young children. Bergman himself referred to this film as "the sum total of my life as a filmmaker," and indeed it is staggering exploration of life, death, childhood, religion, love, and theatre. The blu-ray adds no new special features, but it doesn't need to. The supplements are both exhaustive and comprensive, filling a complete third disc of material. The real star here is the transfer. Bergman's images have never looked more vibrant or more beautiful. It's the treatment this monumental masterpiece deserves. Yet another blu-ray upgrade from Criterion (who understandably dominates this list), Jean Renoir's The Rules of the Game is often spoken of in the same breath as Citizen Kane as one of the finest films ever made. This new HD transfer allows us to look at it through fresh eyes, and it looks as youthful and energetic as ever. 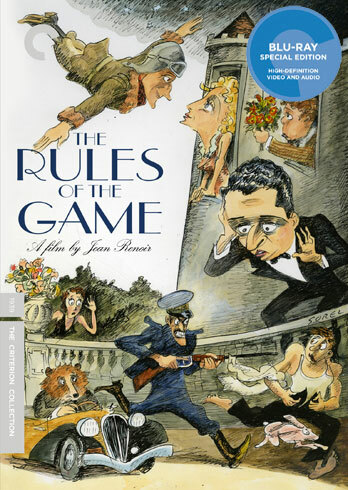 Cleaned up and lovingly restored, The Rules of the Game still hasn't lost any of its singular wit and verve. An acerbic satire on the French upper class in the days before WWII, the film is not only a snapshot of a very specific place and time, it's captured a portrait of a society unknowingly on the brink of destruction. A bit of a surprising choice perhaps, given the other films on this list. 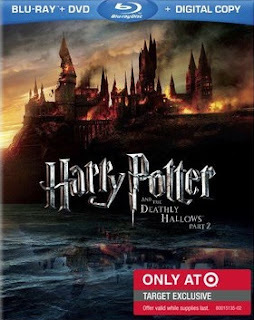 And while I am not a big fan of the marketing ploys related to this release, the blu-ray edition available exclusively at Target stores contains the single best special feature of any other film this year. Morgan Matthews's remarkably intimate documentary, When Harry Left Hogwarts, offers unprecedented access behind the scenes into the making of the final Potter film, with deeply personal insights from the cast and crew about their life with Potter. When Harry Left Hogwarts eschews the usual Making Of doc cliches and instead offers something truly unique. It's a dream come true for Potter fans and for all those who, like its cast, grew up with this series over the last decade. The Harry Potter franchise is a unique achievement in film history, and this blu-ray goes deep into the phenomenon not just as a cultural event, but as a personal one. This is why Potter fans will hold its characters so close to their hearts. Always.